Celebrate and honor the men and women of our Armed Forces! As a Blue Star Museum, we offer FREE admission for all active duty military personnel and their families. We will also be offering a $1.00 off admission for all veterans and other everyday heroes, such as doctors and nurses, firefighters and police officers, and EMTs. 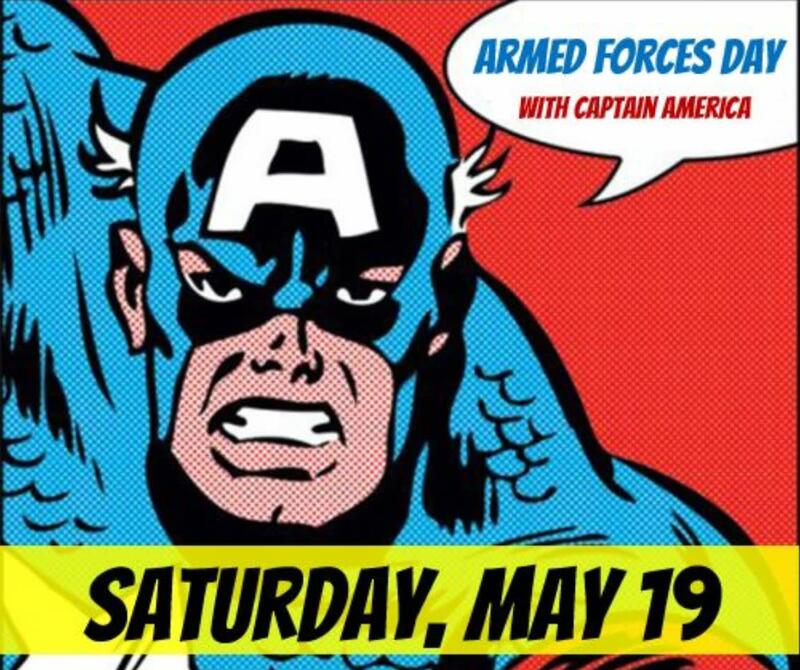 Captain America will be at the Museum from 11:00 a.m. until Noon. At Noon we will be playing the "Captain America" movie in our theater. Children (and adults) can also "Thank a Hero" with handwritten letters and notes that will be sent to our military servicemen and women.